For the poet Michael S. Glaser, see Michael Glaser. Paul Michael Glaser (born March 25, 1943), is an American actor and director best known for his role as Detective David Starsky on the 1970s television series, Starsky & Hutch. Glaser also appeared as Captain Jack Steeper on the NBC series Third Watch from 2004 to 2005. Glaser, raised in a Jewish family, is the youngest of three children. He was born Paul Manfred Glaser in Cambridge, Massachusetts, the son of Dorothy and Samuel Glaser, who was an architect. Glaser attended the Buckingham Browne & Nichols School until 1961 before transferring to the Cambridge School of Weston completing high school. Glaser attended Tulane University, where he was roommates with film director Bruce Paltrow, majoring in theatre and english with a minor in architecture and graduated in 1966. He was a member of the Sigma Alpha Mu fraternity. He earned a master's degree in fine arts from Boston University in acting and directing in 1967. After appearing in several Broadway productions, Glaser appeared in his first feature film in 1971, playing Perchik in the film version of Fiddler on the Roof. After having appeared as an extra on NBC's The Doctors, he was cast in the contract role of Dr. Peter Chernak on the daytime series Love Is a Many Splendored Thing, and made guest appearances on shows such as The Waltons, The Streets of San Francisco and The Rockford Files, but found fame playing Detective David Starsky opposite David Soul in the television show Starsky and Hutch, of which he directed several episodes. It ran for four seasons (1975–1979) on ABC. 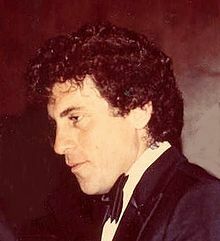 After the series, Glaser continued to act on television and in films, and directed the 1987 film The Running Man starring Arnold Schwarzenegger as well as the 1992 film The Cutting Edge. He also directed episodes of several well-known TV series, including Miami Vice, Robbery Homicide Division and Judging Amy. Glaser returned to the big screen in 2003 in Something's Gotta Give, as Diane Keaton's ex-husband, and with a brief cameo in the 2004 film version of Starsky & Hutch, where his old role was reprised by Ben Stiller. He also directed the children's film Kazaam starring Shaquille O'Neal. On November 30, 2007, Glaser starred as Captain Hook in a pantomime version of Peter Pan, or The Boy Who Wouldn't Grow Up at the Churchill Theatre in Bromley, Kent, England. He took the lead role in the 2008 pantomime season at Sunderland's Empire Theatre. He guest starred in an episode of CBS's The Mentalist on October 1, 2009 titled "The Scarlet Letter". In 2013, Glaser revisited Fiddler on the Roof in a UK stage production on national tour, this time playing the lead character Tevye. Glaser has been married twice. He married his first wife, Elizabeth Meyer, in 1980. In August 1981, Meyer contracted HIV through a blood transfusion while giving birth to the couple's first child, Ariel. Meyer did not find out about the virus until four years later, at which time both Ariel and son Jake (born October 1984) were also found to be HIV positive. Ariel Glaser died in August 1988; Elizabeth Meyer Glaser died in 1994, after co-founding the Elizabeth Glaser Pediatric AIDS Foundation with friends Susan DeLaurentis and Susie Zeegen. After his wife's death, Glaser served as chairman of the foundation until 2002 and remains Honorary Chairman, roles in which he has testified before the United States Congress and met with national leaders, as well as headlining annual fundraisers for the organization. 1972 Cannon Jason Logan Actor ("Nobody Beats the House"), Credited as "Michael Glaser"
^ "Paul Michael Glaser". BFI. ^ "Paul Michael Glaser Biography (1943-)". filmreference.com. ^ Miron, Charles (1977). Rock gold: all the hit charts from 1955 to 1976. Drake Publishers. p. 64. ISBN 9780847314676. ^ Christie, Janet (29 September 2013). "Paul Michael Glaser beyond Starsky & Hutch". The Scotsman. Retrieved 4 April 2019. ^ "Official website of Paul Michael Glaser:Poetry". Archived from the original on 2009-08-29. ^ "Official website of Paul Michael Glaser:Books". Archived from the original on 2010-02-10. 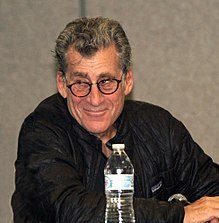 Wikimedia Commons has media related to Paul Michael Glaser.